The GPM core observatory satellite passes over the Gulf of Tonkin. 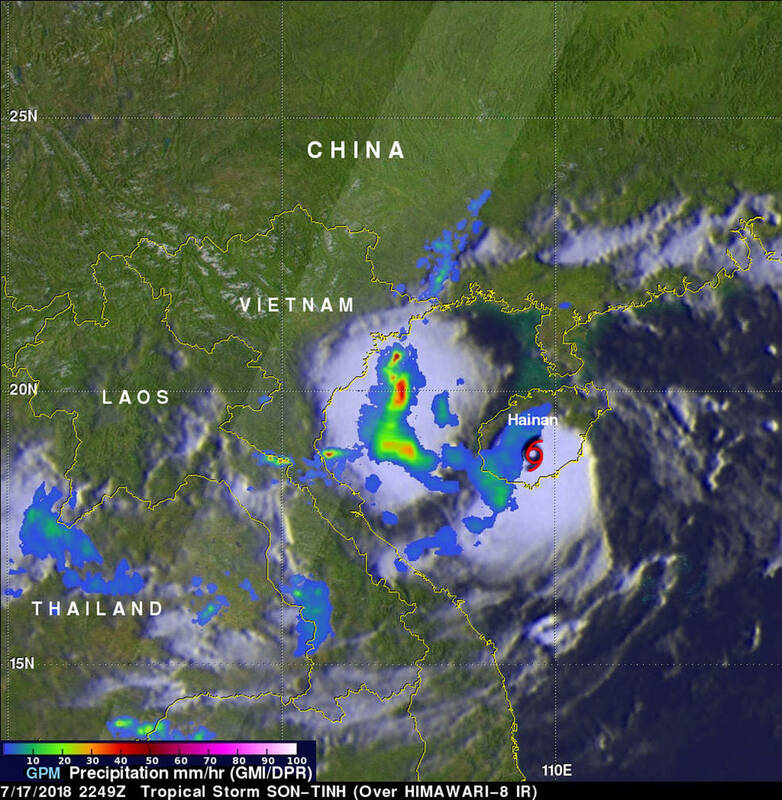 GPM showed the locations of heavy rainfall in storms in the western Gulf Of Tonkin where precipitation was dropping at a rate of well over 97 mm (3.8 inches) per hour. Storm tops in the most powerful storms were found by DPR to reach heights of about 16 km (9.9 miles). Tropical storm Son Tinh has killed 20 people, left 16 missing and injured 14 in Vietnam, the country's rescue committee says. Heavy rains are expected to continue over the next few days, Vietnam's Steering Committee for Disaster Prevention said in a separate statement on Saturday.